This page gives some details on the icann.org DNSSEC outage on October 24, 2017. 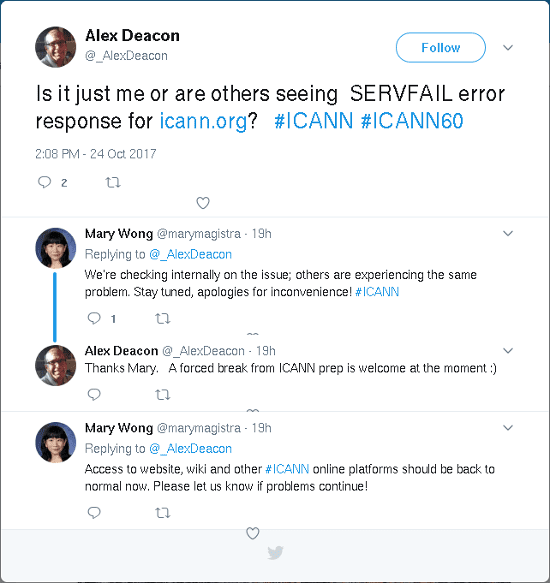 @_AlexDeacon writes: "Is it just me or are others seeing SERVFAIL error response for http://icann.org ? 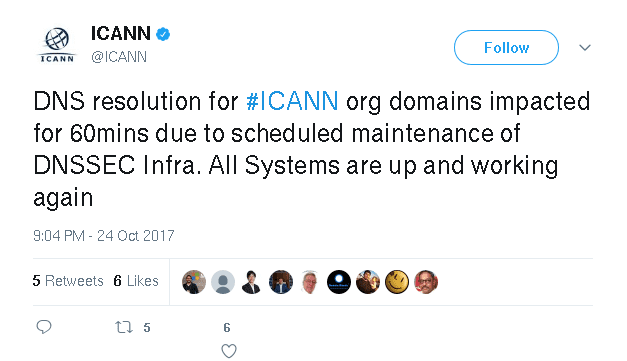 #ICANN #ICANN60"
@ICANN writes: "DNS resolution for #ICANN org domains impacted for 60mins due to scheduled maintenance of DNSSEC Infra. All Systems are up and working again"